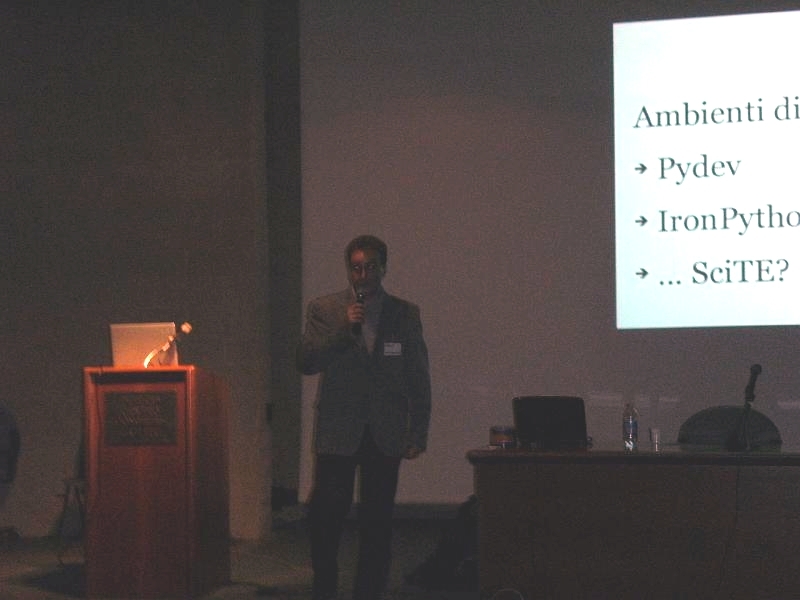 On Semptember the 20th, in Perugia, I had the occasion to do a speech about Python. 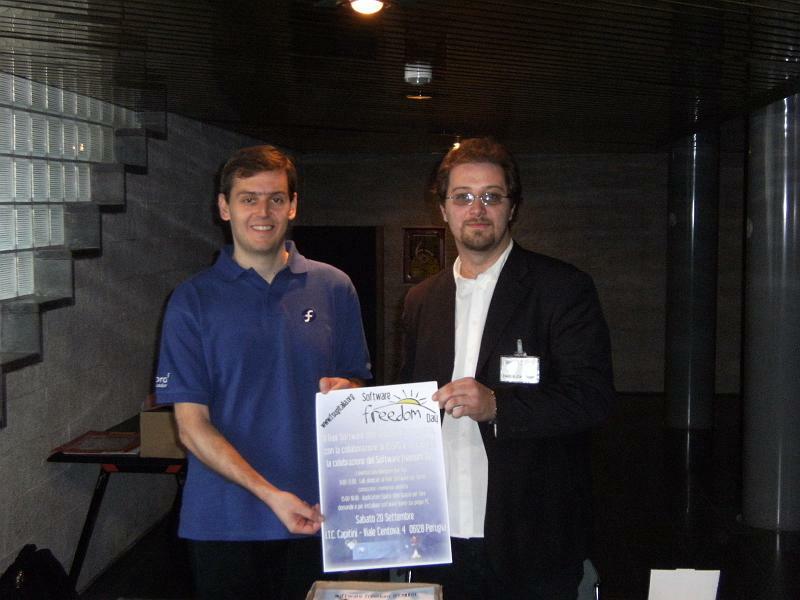 The presentation was part of the Software Freedom Day program; the event was organised by the people of Free Software User Group Italy. The speech was just an introduction to Python targeted to technical high school students and professors; in fact, the audience was mostly made of students of high schools that adheres to the OSSPG project. OSSPG is a project targeted to spread the adoption of open source software on Perugia’s province schools that so far counts three high schools among its members. My goal was to convince the audience that Python is a very useful programming language and very good for teaching the art of programming; to do so, I’ve first shown some Python’s base characteristics (forced intendation, dynamic typing, imperative/functional/object-oriented programming support, great standard library), then I focused on the adoption of Python by several big players in the software industry (one for all: Google). Francesco Crippa, our special guest from Lodi (near Milan), Fedora Ambassador, did a nice summary of Linux’s history through its main distributions with a special focus on Red Hat and the Fedora project. I’d like to underline the fact that Francesco did a travel of about 500km to attend the speech! Very nice of him, he’s definitely a cool guy. 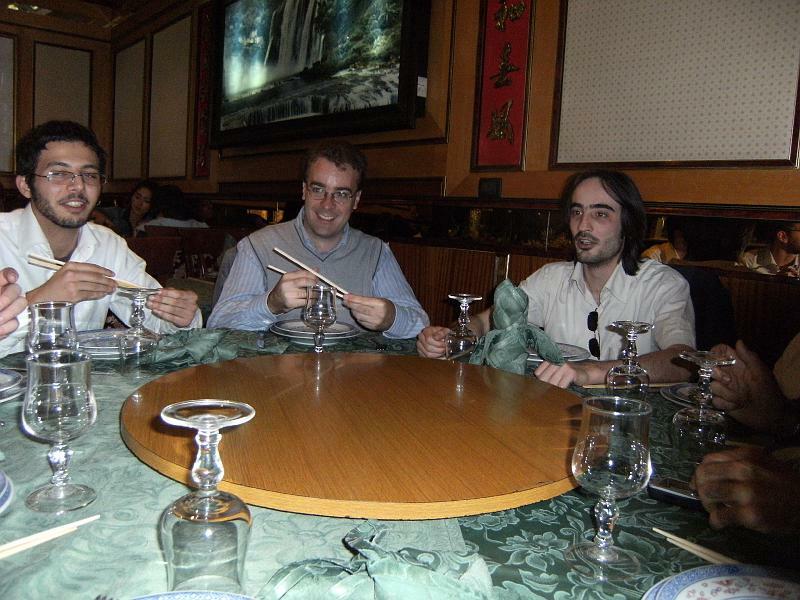 After the presentation we did the usual FSUG Italy lunch at the Chinese restaurant; by now it’s a tradition!